Pregnant and unmarried, 17-year-old Irene Thelliston has been sent home from India in disgrace to live with her aunt in rural Ireland. Only one person knows her secret: Lady Mary Harling, a fellow passenger on her sea voyage, who pities her misfortunes and solemnly swears never to divulge her secret. Years later, to Lady Mary's horror, the beautiful Irene arrives in London and becomes engaged to her son Conrad, who has a secret of his own, having spent seven years in a madhouse after a broken heart left him insane. Lady Mary is desperate to prevent the marriage, but how can she, without violating her oath? And when Irene's handsome seducer appears on the scene and threatens to come between Irene and Conrad, can their love endure or will Conrad relapse into madness? Mary Elizabeth Braddon (1835-1915) was one of the most popular and prolific authors of the Victorian era, publishing 85 books, including the sensational best sellers Lady Audley's Secret (1862) and Aurora Floyd (1863). 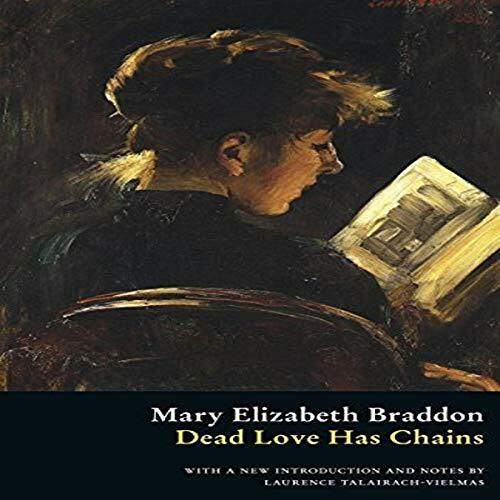 This new edition of one of her most interesting novels, Dead Love Has Chains (1907), is the first in more than a century and features a new introduction and notes by Laurence Talairach-Vielmas. Flat, unsatisfying ending. It is a shame, because it could have been very good; it fizzled at the end.